Milano Bridal Week | Calzaturificio Francesco s.r.l. 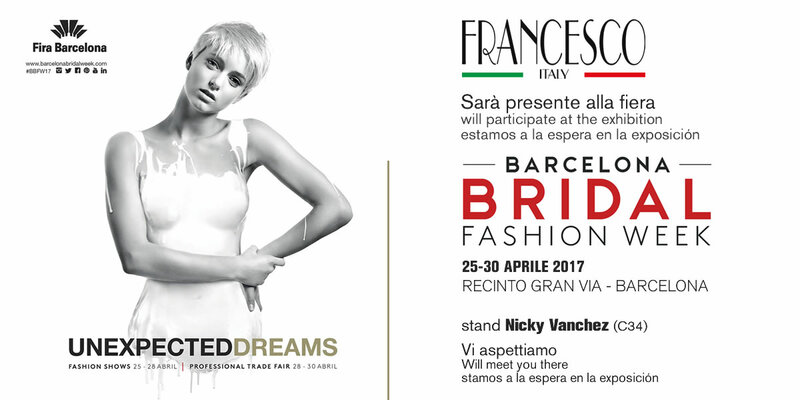 From 9 to 22 May 2017 will host the Milan Bridal Week 2017. Calzaturificio Francesco will be present with its own stand to present exclusively the new collection, shoes and wedding accessories and formal for men and women. We wait for you , do not miss it!